I just started playing this tank again, I'm actually quite enjoying it. Edited by wookie_monster, Jul 22 2015 - 20:07.
one day i'll get one. they are kind of nice i think. i've played against a few of them, and enjoyed the battles. makes you place your shots well. Edited by Sam_Wolf, Jul 22 2015 - 21:08. The slightly more complicated answer is that on this particular skin I have masked out the camo so they won't show in-game. They can still be applied and give the usual camo bonus, they just don't show in-game. 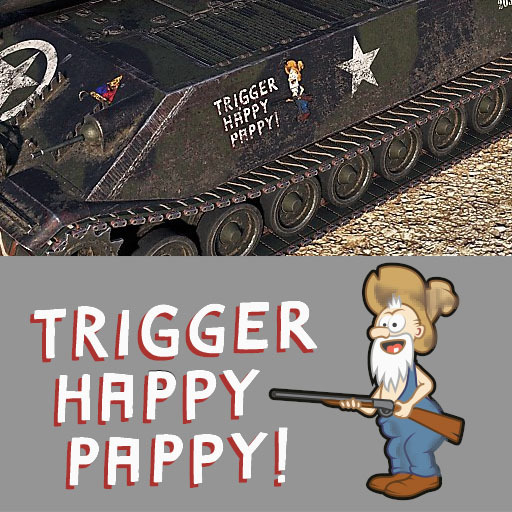 Thanks, for this skin the way camo works is perfect! I didn't want to lose the camo bonus but I really like the look of this skin. DLing it now. Not much I can do about that, it would require re-modelling which is alot more complicated than skinning. The Schmalturm uses a newer version of the cannon though, which could explain why. As far as I know though, the normal Panther turret required the muzzle brake be used. wookie_monster. Can you tell me how to mask out the camo? I use paint.net and try to remove it in the AO file by erasing. It works but the shadows come out black on the tanks. I don't know what im doing wrong. Also. Sweet job on the M10. Just Wow. Looks great. Edited by Zoldner, Aug 06 2015 - 18:58. I don't use Paint sorry. I use Photoshop but I think there are other skinners using Gimp. In the EU Forum Atcams has made a very good tutorial to do exactly what you want to. But Paint.net is absolutely inadequate for this purpose, due to the lack for reworking the Alpha channels. Using GIMP 2.8 or Photoshop is a must !! Here is the LINK to the Tutorial and it is highly recommended to do this exactly how atcams is showing it in his post. Edited by Lt_Saburo_Sakamura, Aug 08 2015 - 11:25. He has some fantastic stuff.there. But you need 250 battles on the Euro server to post there. You can PM him though. Please accept my apologies. It DOES work! I just had to exit WOT and re-start it for it to appear. And it is BEAUTIFUL!!! Well done sir! Edited by Deputy276, Oct 21 2017 - 01:12. Also agree that it would be VERY cool if you could mount the normal L/70 gun with the muzzle brake. Assuming it isn't already done by Krollnikow and if Wookie wants it, I could potentially do that for you though I'll save the skinning part for Wookie to do. Um, so i was having a look at Krolinhow's stuff and saw that he has used some of my artwork in his skins without asking. Not very cool. 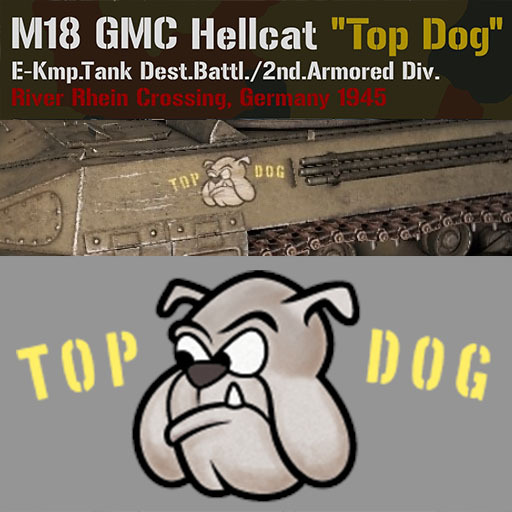 He even named the mod "Top Dog"
Edited by wookie_monster, Oct 22 2017 - 08:29. 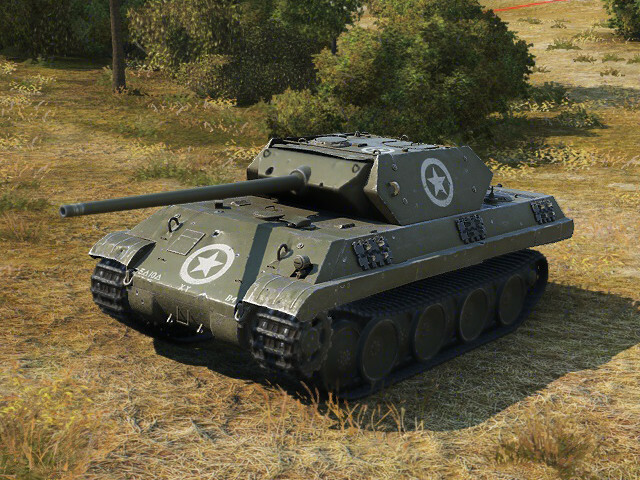 Game Discussion → General Discussion → Poll M10 Wolverine Derp Vs 76MM?